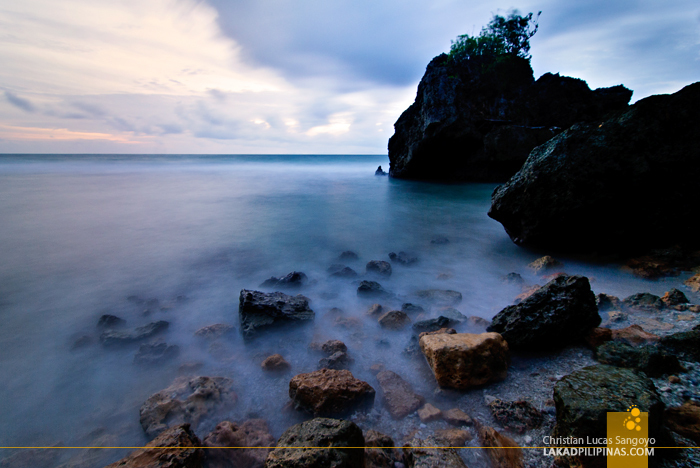 At the far end of the cove is a rocky area highly in contrast with the rest of Guisi Beach. Here craggy formations soar like deconstructed houses hovering above the sea; the booming waves battering them, hell-bent on bringing them down to their foundations. I watched, sat down on the most comfortable rock I could find, and waited for the sun to peek through the thick blanket of clouds quickly moving through the darkening twilight. The first time I found out about Guisi Beach was when I visited the nearby cast-iron Guisi Lighthouse. From the promontory leading to the tower, I spied this beautiful emerald cove and promised myself to check it out the next time I visit Guimaras. That next time proved to be much quicker than anticipated. Less than a month later and I’m back at the island, roaring through its empty roads, en route to the beach with our trusted tour guide, Kuya Cherald. We checked in at the Guisi Clearwater Beach Resort, one of the only two resorts serving the area. It was bare-boned and utilitarian, but it has cheaper rates. 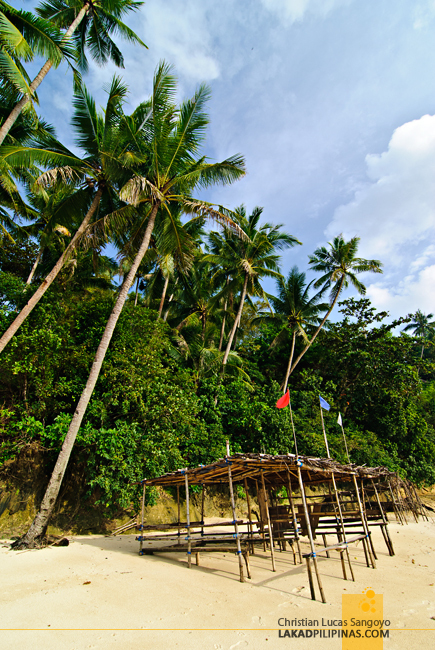 The resort directly fronts the beach and we typically have our meals at the huts near the shore. From there, we usually watch the few locals that dare swim through its rough waters as we go through our meals. It’s the monsoon season and the waves were quite huge. We were told however that during summertime, the water is as placid as an aquarium. Still, it’s a nice spot; an alternative to the more popular Alubihod Beach. 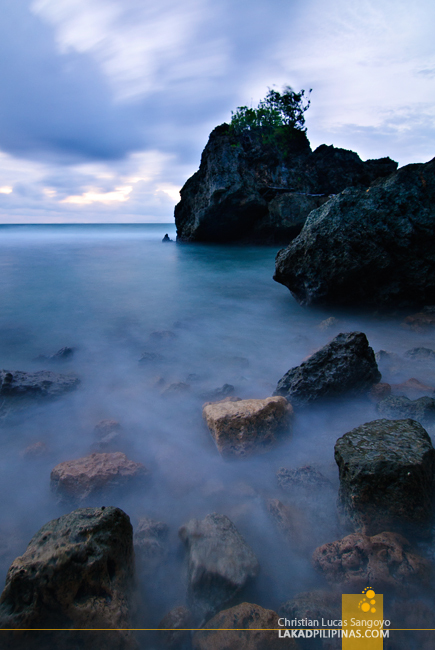 The place is far and secluded enough, so not many tourists venture into this part of Guimaras. For the most part, we have the beach all to ourselves. Although its sand is not as fine as those in Alubihod Beach, it is cream-colored and not that bad, really. 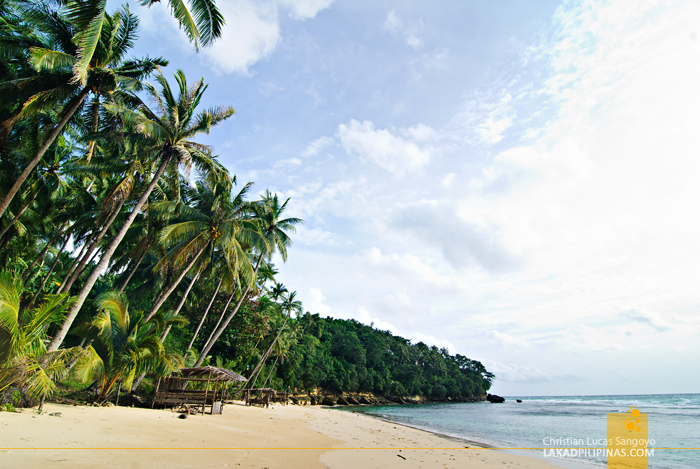 Guisi Beach stretches for less than a kilometer and forms a natural cove. 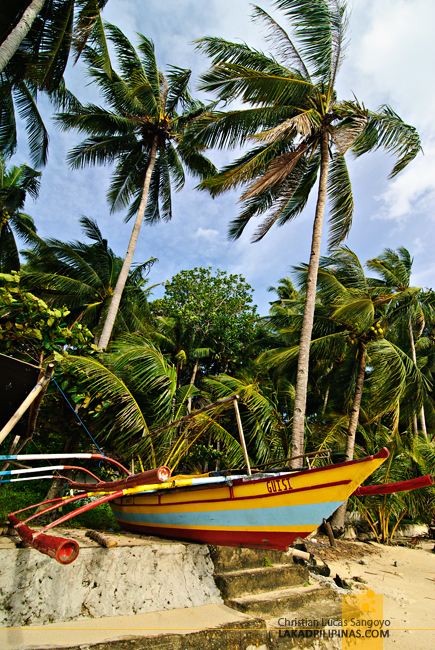 A few meters from the shore, tall coconut trees provide shelter from the blistering summer sun; although we really didn’t need much shade during our visit. One afternoon, when the waters were about as calm at it could get, we donned our snorkels and tried to see what’s under Guisi Beach. We were completely shocked to see a flourishing marine life below the seething waters of the cove. 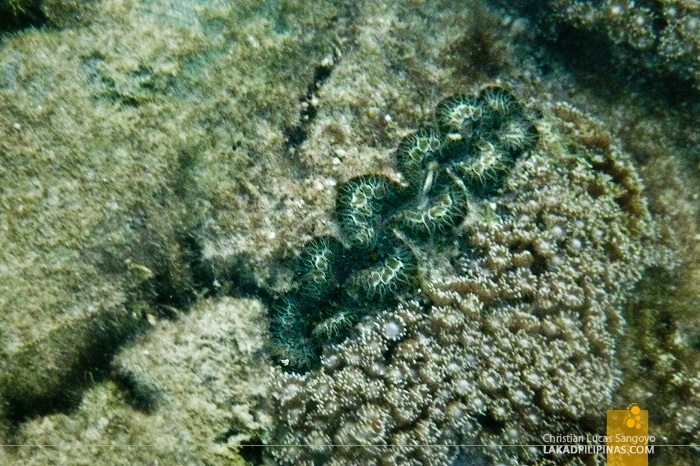 Coral beds started popping along its sandy bottom just a few meters from the beach. We were not expecting much since we weren’t really told that there’s a good snorkeling area in Guisi. 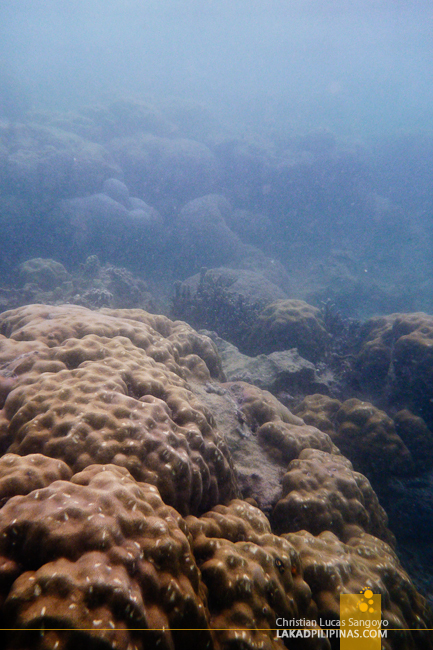 It was just too bad that the water clarity leaves much to be desired due to the strong waves. The current, which was also a bit too strong for us, was a problem too as it was quite hard to swim in the direction we wanted. At the southern end of Guisi Beach, things get interesting especially for landscape nuts. Instead of sand, the sea floor is made up of limestone-like bedding, probably similar in substance to the rock formation replete with mini-caves that parallels the beach. 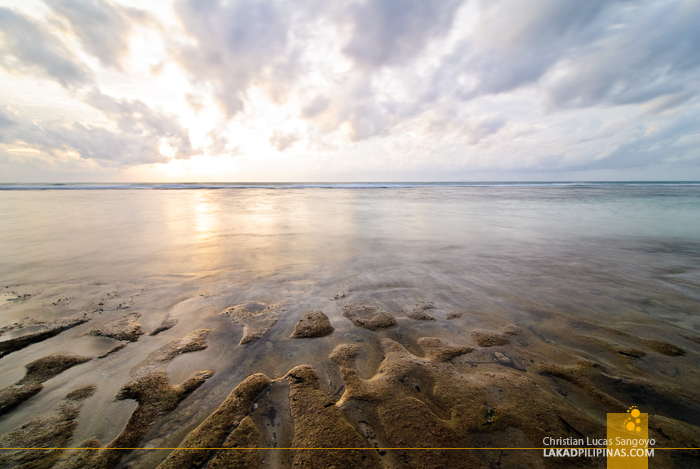 The beach faces the western horizon, so expect gorgeous sunsets during good weather. It was just a shame that the heavens was simply not cooperating with us that time. 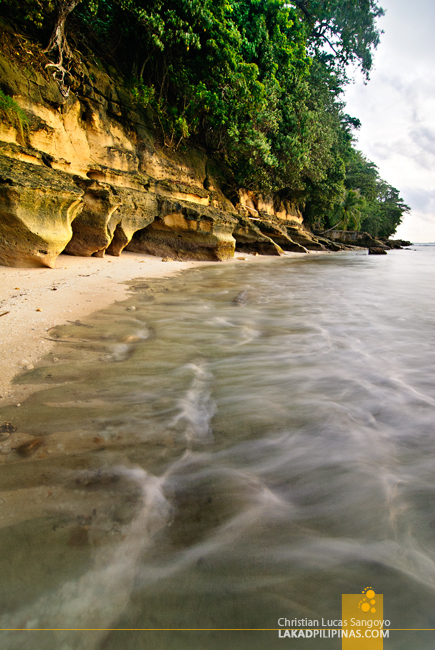 Guisi Beach has a lot of promising spots for a good landscape shoot. There’s no doubt in my mind that I would be back here again the next time I visit Guimaras. 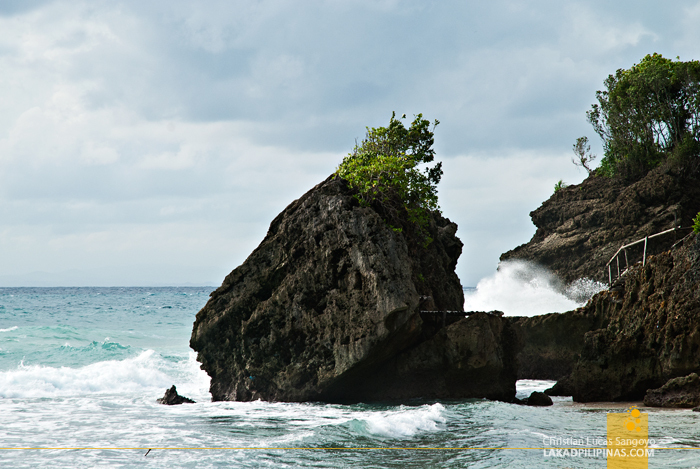 With limited time and uncooperative weather conditions, we really didn’t get the most out of Guisi Beach; its deserted shore, its lush underwater life and its craggy rock formations. Next time. 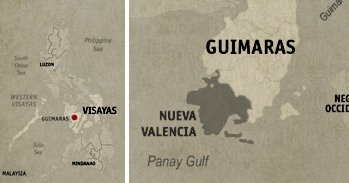 Guimaras is the capital of sweet mangoes. There are a lot of resorts, agri-tourism sites, special interest sites, historical sites, diving sites as well as research centers.